Waltz No. 9 in A Flat Major, Op. 69, No. 1, "L'adieu"
Saudade No. 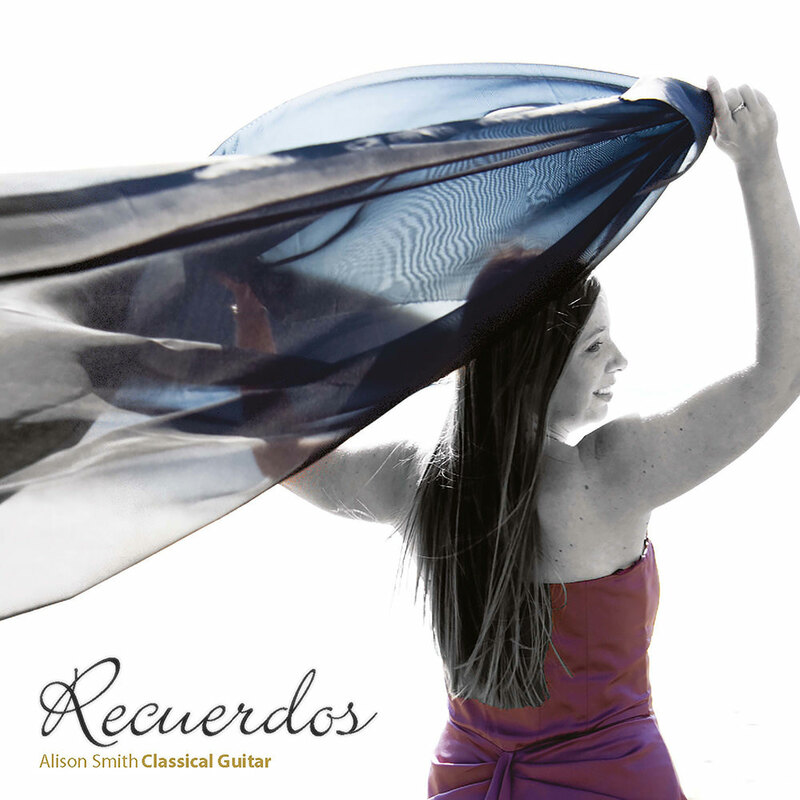 3, "Lembranca do Senhor do Bonfim da"
Award-winning British classical guitarist Alison Smith released her debut album Recuerdos in 2008 to great acclaim, her fluid technique and expressive playing establishing herself as one of the most exciting and lyrical guitarists to emerge in recent years. Dedicated to Alison's late mother, Recuerdos ("memories") is a delightful collection of original and transcribed works for the classical guitar, an exciting musical journey from the Classical and Romantic periods through to the colours and rhythms of Spain, Japan and Latin America.